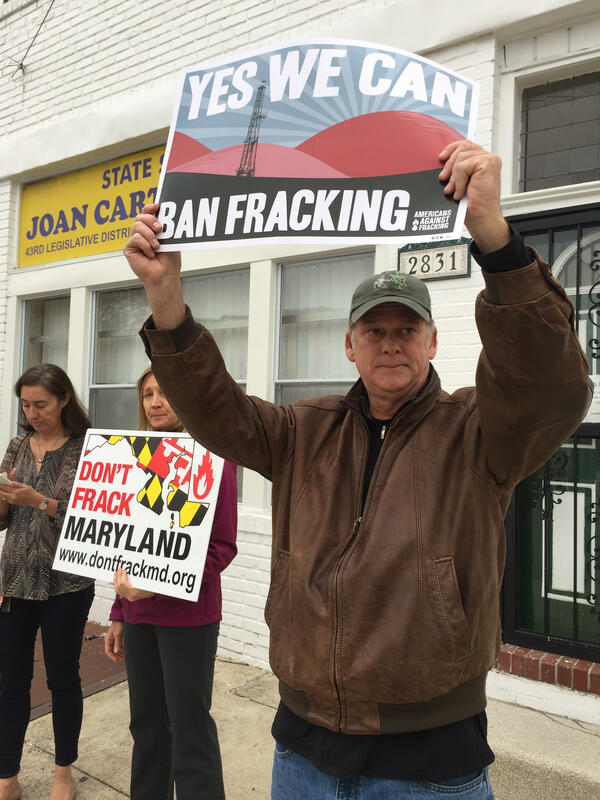 Pat Mogge, who teaches U.S. history and government at Baltimore City College, advocates for a statewide fracking ban outside state Sen. Joan Carter Conway's Baltimore office. Still, a group of about 20 activists marked the occasion with a demonstration in northeast Baltimore, outside state Sen. Joan Carter Conway’s office Monday afternoon. 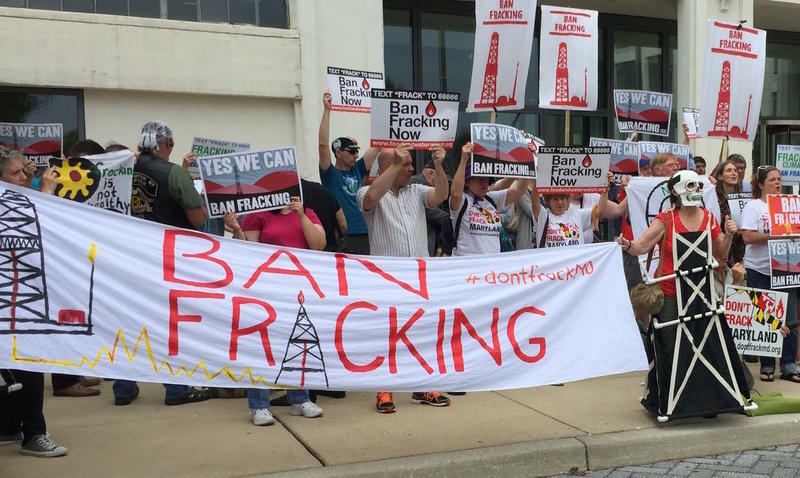 The Baltimore Democrat is seen as an obstacle to the statewide fracking ban the group hopes will pass the General Assembly. Conway heads the Senate Education, Health and Environmental Affairs committee and has opposed previous statewide fracking bans. Conway did not respond to requests for comment for this story. Fracking wells are not likely in Baltimore, which lacks both the known gas reserves and open space necessary for drilling. But city residents could still feel the effects of fracking wells hundreds of miles away, according to Rianna Eckel, an organizer with Food and Water Watch, which coordinated Monday’s demonstration . Some state lawmakers have promised to introduce new fracking bans before the moratorium ends. However, Gov. Larry Hogan has been a vocal supporter of opening the state up to regulated drilling.